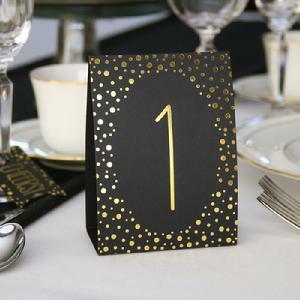 35084 - Black, two-sided, paper table number tents with gold foil polka dot and number design. Set includes table numbers 1-40. 3.5" x 5" tall when folded. Customer assembly required.